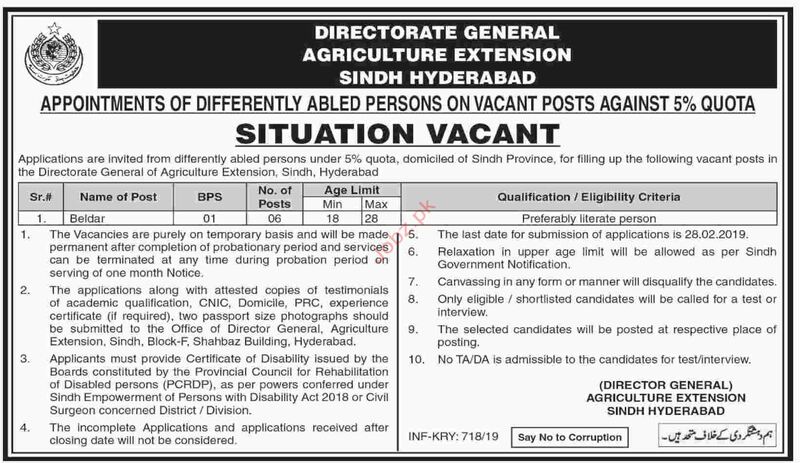 Directorate General Agriculture & Extension is looking for Beldar in Hyderabad. Interested candidate can apply. candidate must have experience in relevant field. Attractive salary will be given. You can apply online at vacancy after registering at http://www.jobz.pk site.